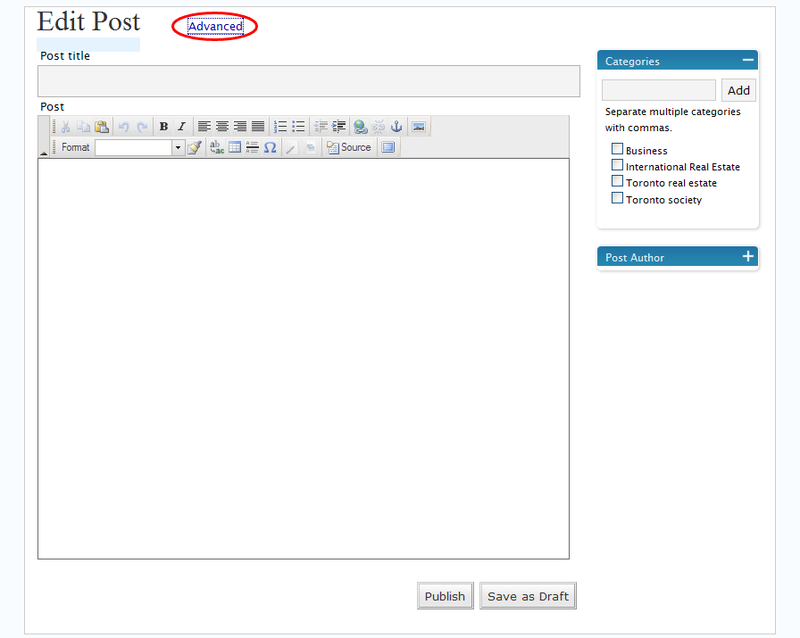 Bellow is the post editing screen after you select Write Post in your WordPress administration interface and you are using FV Edit Templates plugin. Most of the advanced features are hidden, so the editing screen is very nice and simple. 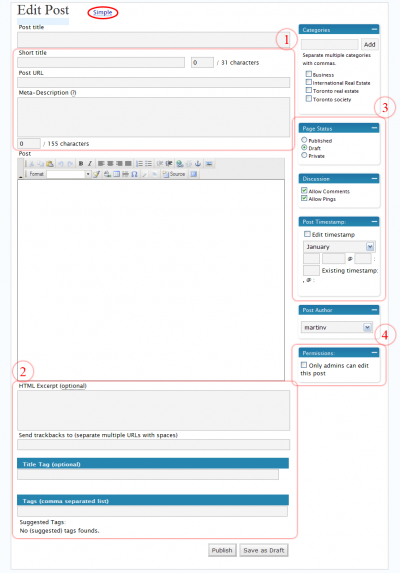 Read this guide if you don't know how to write a post. If you want to change some advanced post properties, simply click "Advanced" at the top of the screen. The screen appearance will change - a lot of hidden fields will appear. "Advanced" will change to "Simple". Click "Simple", to get back to Simple mode again. First group contans very important fileds - Post URL and Meta-Description (fill in Meta-Description and watch the character limit change; 155 characters is the approximate limit for google search results, so make it brief). Second group contains trackbacks, tags and custom HTML Excerpt. 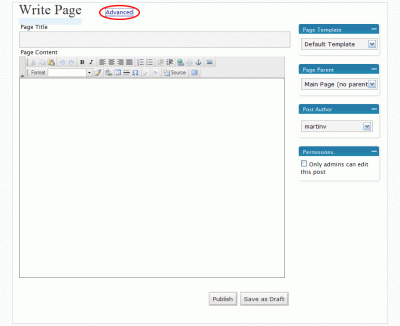 You need to modify your site template to use this field. See main FV Edit Templates article. Third group contains mainly Page Status and Post Timestamp. Post Timestamp lets you change the date when the article was written. Last group contains Perimissions. Page editing looks roughly the same. 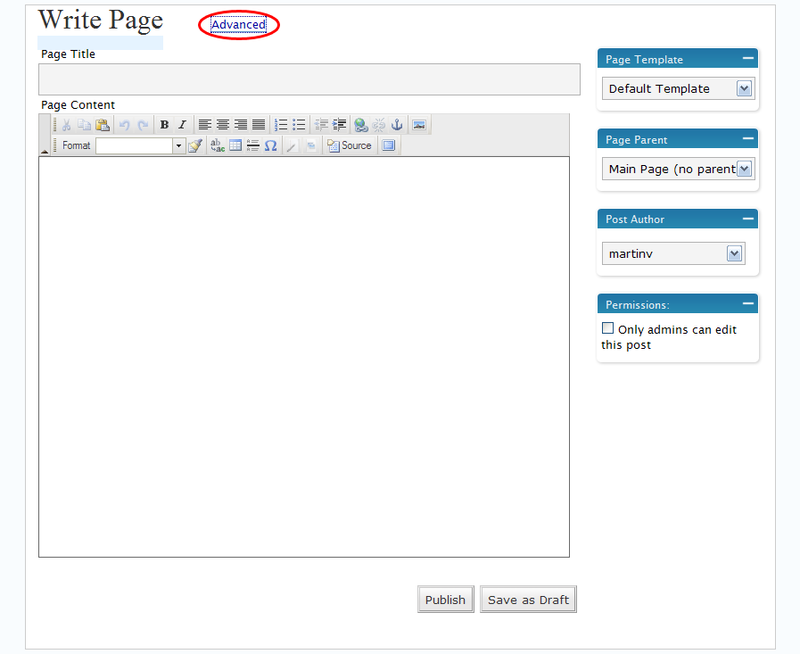 Difference is just in the standard WordPress fields - page has no category, but has Page Parent and Page Template. 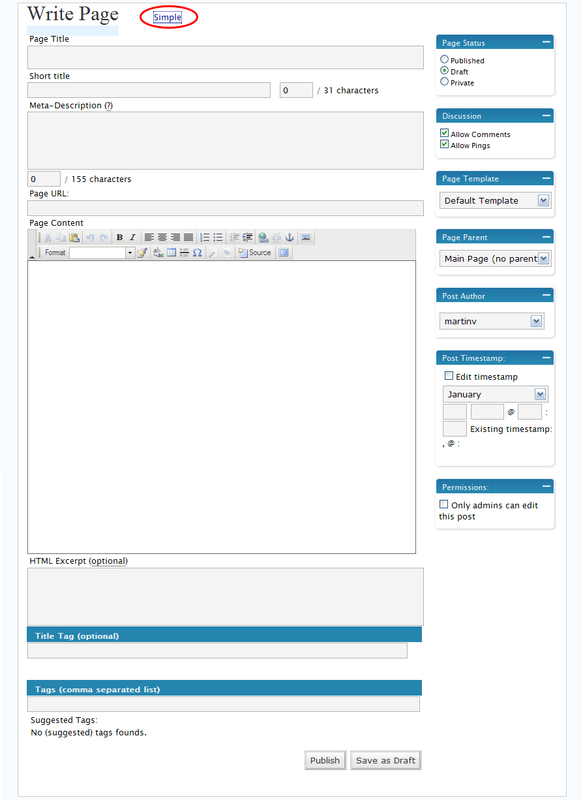 Advanced page editing screen has the same extra fields like post editing screen.